CBFC officials "almost fell off their chairs" after watching passionate kissing scene in Raabta! CBFC officials “almost fell off their chairs” after watching passionate kissing scene in Raabta! Fans are eagerly awaiting the release of upcoming romantic drama film, Raabta starring Sushant Singh Rajput and Kriti Sanon. Their on-screen and off-screen chemistry is both unique and intriguing, and watching them together is pretty fascinating. But when it comes to the Central Board of Film Certification (CBFC), they feel that genuine passion between two adult individuals is too much for the Indian audience. So much so that a source has said that they “almost fell off their chairs” when watching a particular scene from the flick. 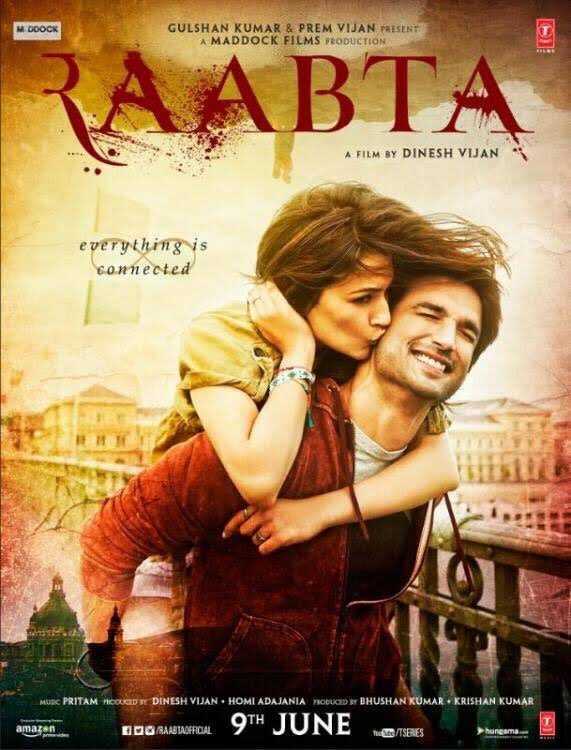 Raabta has now officially been given the A certificate by the CBFC. The officials say that if the filmmakers want a U/A certification, they need to crop certain scenes from the movie. The flick is a tale of reincarnation and sees plenty of love between the lead actors. There’s been lot of speculation about the relationship status between Sushant Singh Rajput and Kriti Sanon. However, Kriti has refuted those claims and continues the “good friends” charade that’s a favorite with celebs. Raabta has been facing some controversy for a while now. The film itself is said to have striking similarities with Magadheera. Still, it is set for a big opening at the box office. Deepika Padukone is said to be starring in the title track and Rajkummar Rao will also be making a cameo appearance in the film. Raabta opens in theatres on June 9, 2017. Previous articleFrom the writer of Baahubali, Star Plus TV series Aarambh to start airing by late June 2017! Next articlePriyanka Chopra to star in Bhansali's Amrita Pritam biopic, Gustakhiyan?